The Bay area is a hotbed for creative types, and it’s also home to a number of Web-based companies that connect writers, book authors, and photographers with potential readers and customers. A flurry of news came out about these companies early this week. San Francisco-based Scripted announced that it has raised a $9 million Series B round led by Storm Ventures, which was joined by existing investors Crosslink Capital and Redpoint Ventures. Scripted taps a collection of part-time writers to produce tweets, blogposts, and white papers for companies that sign up for its service. CEO and co-founder Sunil Rajaraman says typical Scripted writers are in their mid-30s, earning income to supplement wages from their day jobs. The company says it has delivered 37,000 words of content to its business customers, and has paid writers about $2 million, since the service was launched in 2011. If you do the math, that works out to about 5 cents a word for the writers—well below the $1 a word that’s a benchmark for professional magazine writers. Few of Scripted’s writers are professional journalists, Rajaraman says, but they write well and have experience with specific business sectors. He says Scripted raised its rates after finding that companies were willing to pay more for quality content from knowledgeable writers. The minimum rate is now about 10 cents a word, with higher compensation for certain topics such as finance, Rajaraman says. For indie authors with a novel or non-fiction book languishing in their hard drives, the San Mateo, CA-based startup BookSoleil hopes to become an online marketing conduit that will get the word out about quality e-books. BookSoleil announced this week that it will launch its first newsletter on Dec. 1 with a subscriber base of a million readers, who were drawn by its Facebook ads and by subsequent word of mouth among book lovers. The books recommended in the newsletter will be chosen by BookSoleil’s editors from writer submissions, and successful applicants will then pay BookSoleil a fee. The price ranges from about $49 for a free book for teens and young adults—one of the smaller groups among BookSoleil’s current subscribers—to $784 for a mystery novel selling for more than $2. Mystery fiction is the genre that interests one of the largest BookSoleil subscriber groups. Authors are encouraged to arrange for limited-time sales offers for their books through their distribution channels, such as Amazon’s Kindle store, Barnes & Nobles’s Nook store, Apple’s iBooskstore, and Google’s Play store. BookSoleil would then promote the special deals in its newsletter. Photographers looking for work now have a sort of online matchmaking service to try. Menlo Park, CA-based company Photographer Central launched the website in June, and just announced that it’s expanding several marketing features for photographers who join. 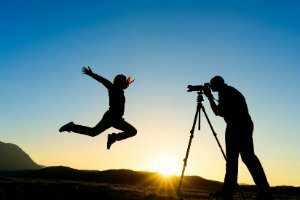 Families looking for a portrait photographer, or marketers hiring for a catalog shoot, can search the website for photographers by location, price range and subject matter. The photographers can display their work and make contacts with potential customers by buying a listing for $300 a year. Photographer Central is a unit of Menlo Park, CA-based Zenfolio, a photographer’s showcase and e-commerce site that is part of the Art.com group of companies based in Emeryville, CA. Photographer Central invites customers to post comments about their photographers on the site, and it’s now allowing photographers to link to their Google Business and Yelp pages so all their reviews can be seen in one place. In another new feature, consumers will also be able to search for photographers who are offering special discounts.